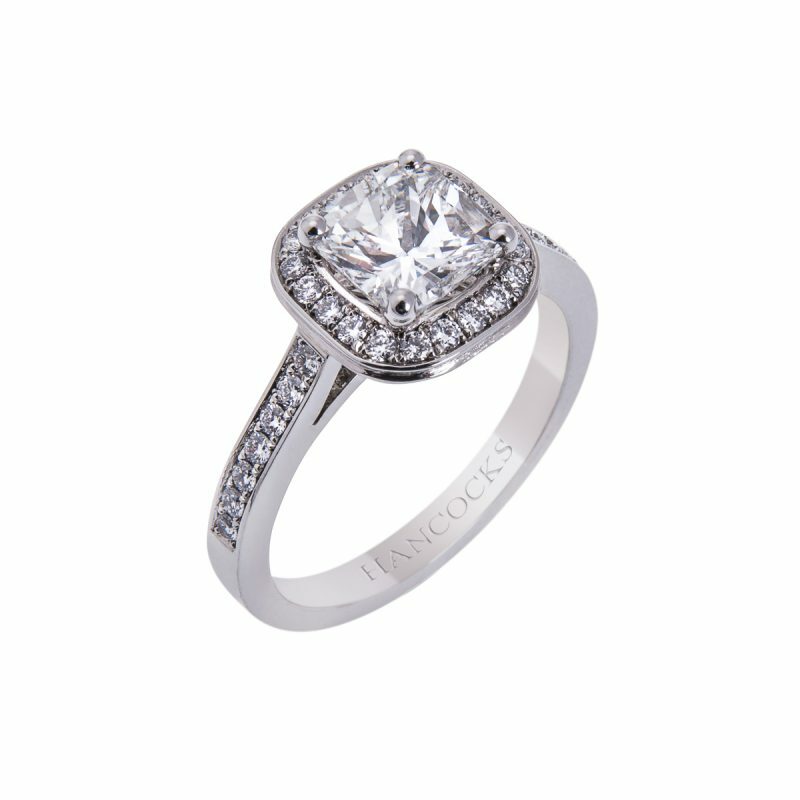 This delightful GIA 0.91ct cushion cut diamond single stone has been mounted with a brilliant cut diamond set frame, meticulously set in platinum creating a uniquely modern twist on a timeless classic. 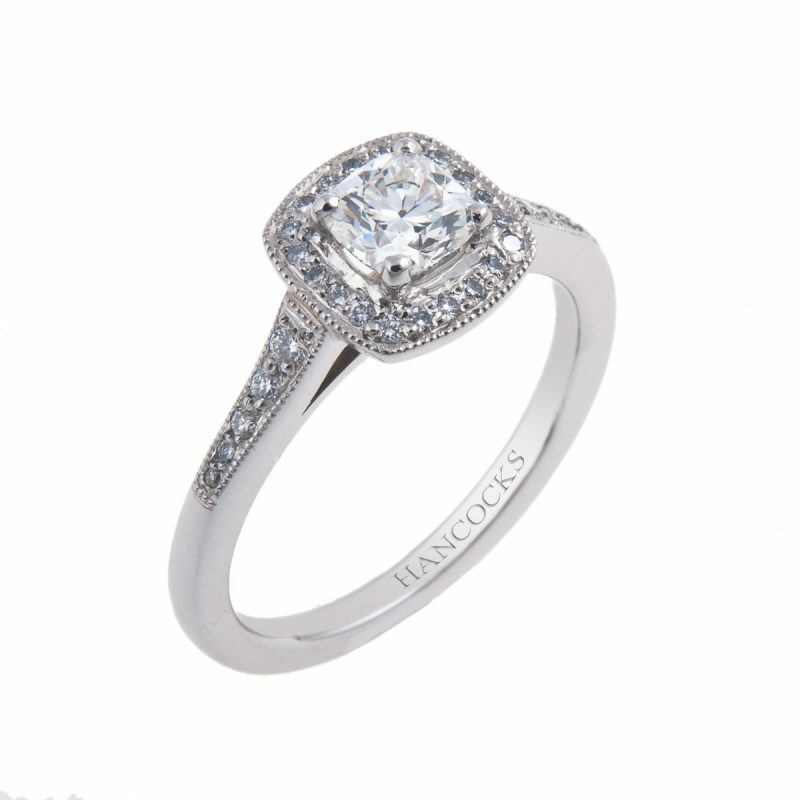 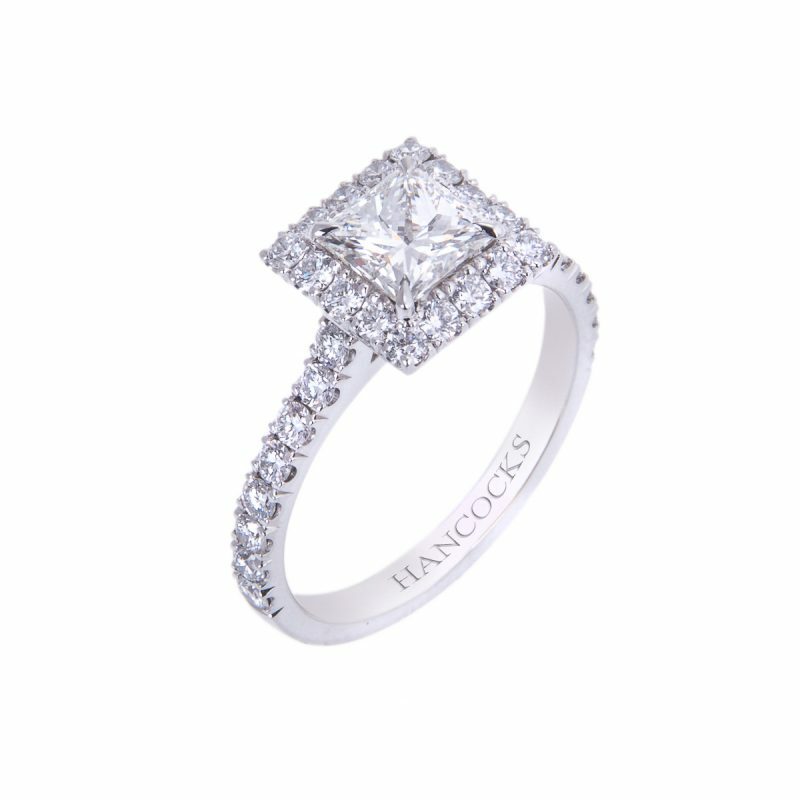 Less common than a brilliant cut, this intriguing shape of the cushion cut falls somewhere between a rectangle and an oval. 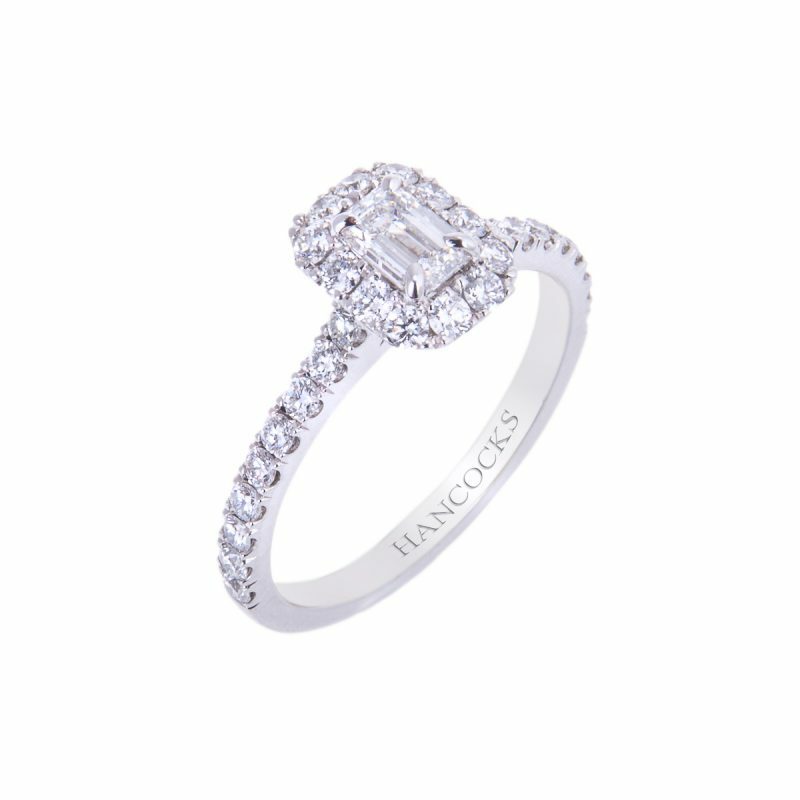 Ideal for somebody who is looking for a ring that is a little less ordinary, but with a timeless and elegant style that will never go out of fashion.